“How does acupuncture really work? The mistranslations of Chinese textbooks on acupuncture to the English language, have led to a lot of misinformation about acupuncture and what it really is. Acupuncture is not an energy medicine. Acupuncture is not voodoo, religion or magic. Acupuncture is a real physical medicine based on real anatomy. Acupuncture works by improving the flow of oxygen (qi), nutrients (ying qi), and blood (xue), through specific networks of blood vessels (xue mai), to nourish every cell of our body. Acupuncture treats the #1 cause of disease: Blood Stagnation (or blocked blood flow). 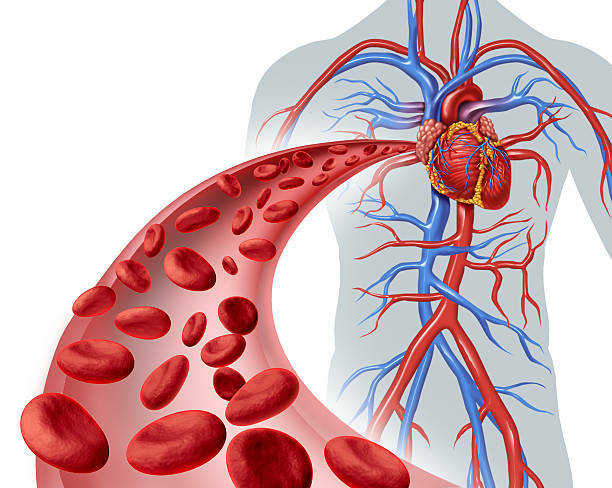 When there is a problem with blood flow to any area of the body, that area cannot function properly. The body will not heal without proper blood flow. Acupuncture causes your blood vessels to dilate and increases blood flow to specific areas of the body to relieve pain, improve organ function and prevent aging. Acupuncture also works by stimulating the nervous system by activating nociceptor, sensory nerves, and proprioceptor fibers that travel from the skin to the spine and into the brain. Acupuncture improves the nerve signal to your brain and forces your brain to release opioids (natural painkillers), to shut off the pain signal and eliminate your pain. In short, acupuncture stimulates the body’s natural ability to heal itself! Acupuncture treats an endless number of conditions either on its own or in conjunction with Chinese herbal medicine or other therapies. So if you are looking for a natural solution to your health problems, without drugs or side-effects, look no further….get acupuncture today.